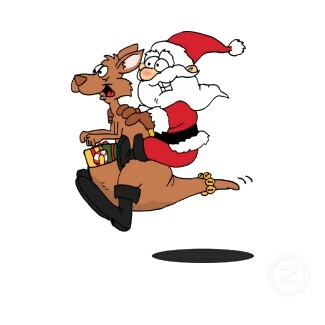 All I want for Christmas is Aussie Baseball Love!!! At mlbblogger–where the stadium lights are always on–we long for baseball to reach a worldwide audience. 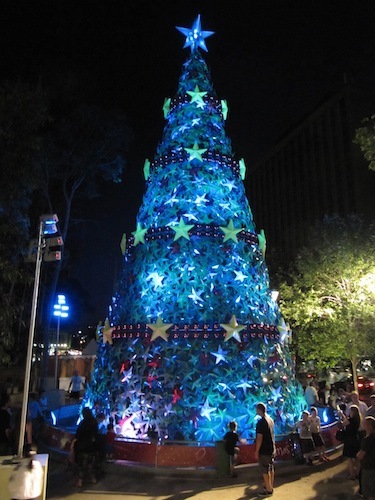 We are thankful for the blessings of an Aussie Baseball Christmas and wish for a prosperous 2012 in the Australian Baseball League (ABL). In the spirit of giving, we would like to share the current holiday season standings and our secret Santa for each team in the ABL. 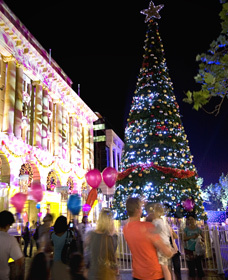 Families celebrate the Christmas spirit in Western Australia's capital city of Perth. and Eastern League Double-A Reading Phillies. Retired MLB All-Star Pedro Martinez stretches with Tim Kennelly before rehab assignment game. Named to the 2009 FSL Mid-Season and Post-Season All-Star teams, Kennelly soon rubbed shoulders with the baseball’s elite–including former MLB All-Star pitcher Pedro Martinez while calling games behind the plate. Spending seven seasons in the Philadelphia minor league system, he has posted a .263 batting average with 18 home runs and 210 RBI in 485 games. 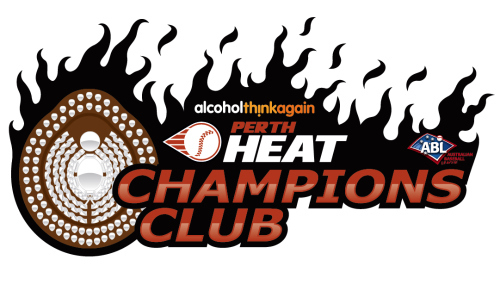 To the delight of friends and family, the Aussie native returned home to play for the Perth Heat in the reorganized MLB-sponsored Australian Baseball League in 2010. After leading his team to the 2011 ABL Championship, Tim Kennelly flew 11,641 miles and spent 24 hours in the air before touching down in Lakewood, New Jersey–home of the Phillies affiliate South Atlantic League Single-A Lakewood BlueClaws. As the BlueClaws primary catcher and outfielder, he compiled a respectable .293 batting average with one home run and 20 RBIs in 39 games. In fact, the resourceful utility man has played every position but shortstop in his baseball career. 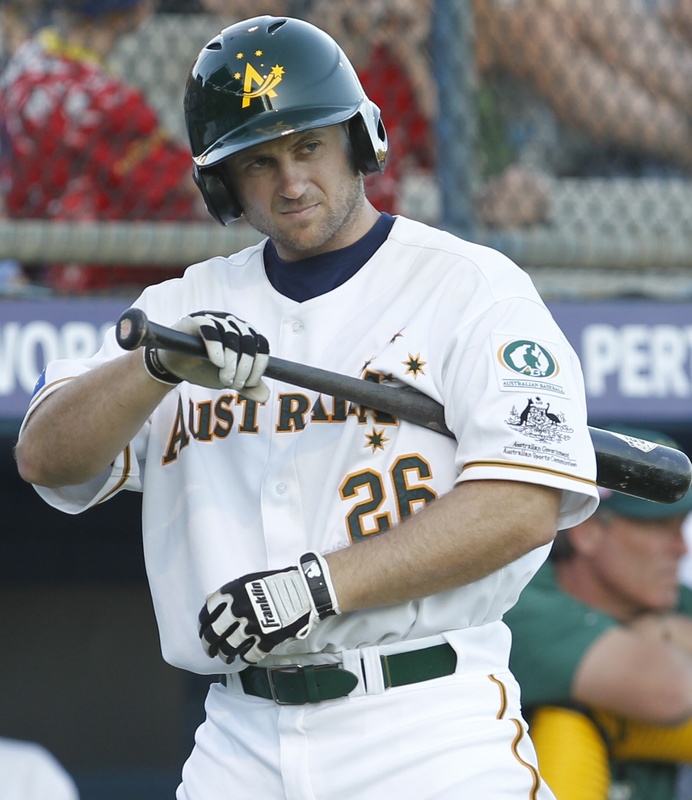 Having returned from Taiwan where he played in the 2011 Asia Series against the best from the Chinese Professional Baseball League, Korea Baseball Organization and Japan’s Nippon Baseball League, the Heat’s Tim Kennelly is having a smashing time during the current 2011-12 ABL season. He will undoubtedly compete for the ABL MVP title down the stretch. 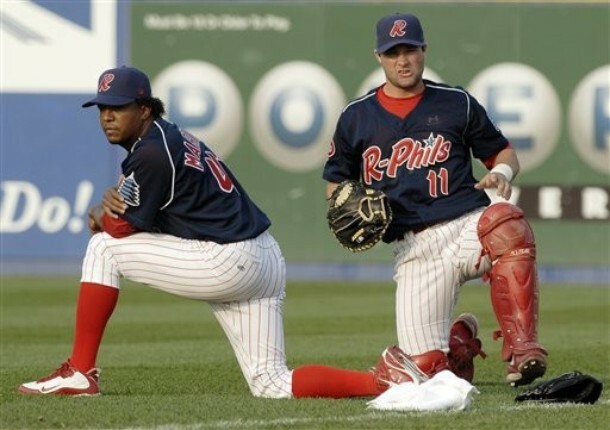 Since filing for free agency, the talented and multi-faceted Australian renaissance man remains a solid bet to rejoin the Philadelphia Phillies–considering his fine catching ability and familiarity with the world-class organization’s up-and-coming pitching prospects due to arrive at the Double-A level in 2012. Top ranked Seattle Mariners prospect James Jones is projected to make his MLB debut at Safeco in 2013. 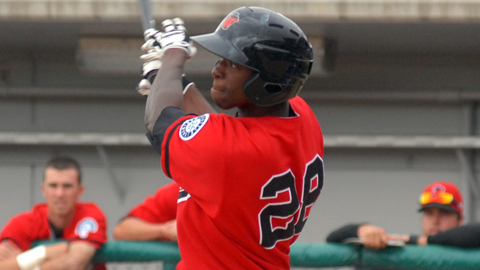 Prior to the start of his 2009 college season at Long Island University, Baseball American ranked James Jones #30 in its Top 100 Prospects. He was later selected by the Seattle Mariners in the 4th round of the 2009 amateur draft as an outfielder. While in college, he was respected as an excellent defensive outfielder and a strong pitcher who could hit 95 on radar guns with his fastball. In July of 2009, the six-foot-four left-handed hitter headed to the Pacific Northwest to join Mariners affiliate Northwest League Single-A short season Everett AquaSox and played in 45 games. His quick bat and speed on the bases were evident as demonstrated by his .311 batting average with three homers, 12 doubles, three triples, 24 RBIs, 28 runs scored and 19 walks. James Jones helped the Single-A Clinton LumberKings become 2010 West Division Champs in the Midwest League and a strong contender in the 11 game playoffs–where he led in batting average (.356), hits (16), home runs (3), and stolen bases (9). 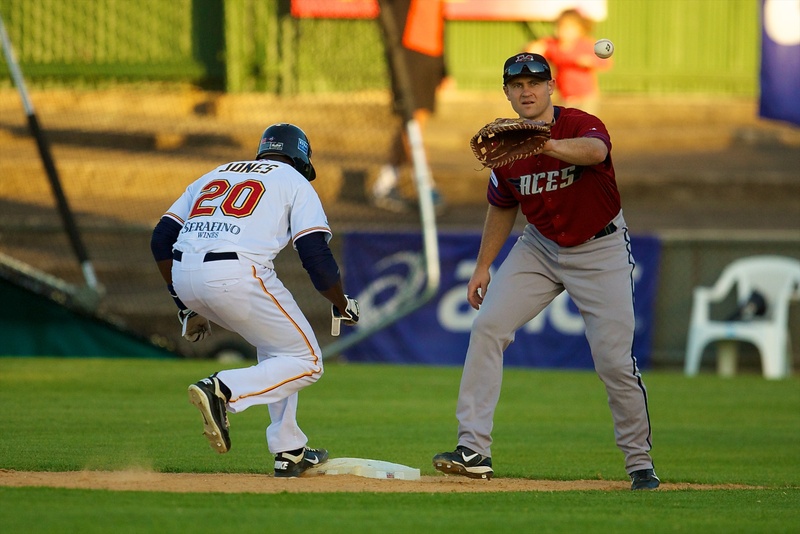 Last season Jones played with the current ABL batting leader, Adelaide teammate Denny Almonte, as well as Perth Heat’s James McOwen while with the Single-A High Desert Mavericks. Rated by Baseball America as the best outfield arm among Mariner prospects and heralded as an excellent athlete–who is fast and strong with good Big League composure in regards to personality, intelligence, and work ethic– Jones has gap-to-gap power, the ability to track down balls in the outfield and blazing speed on the base paths. 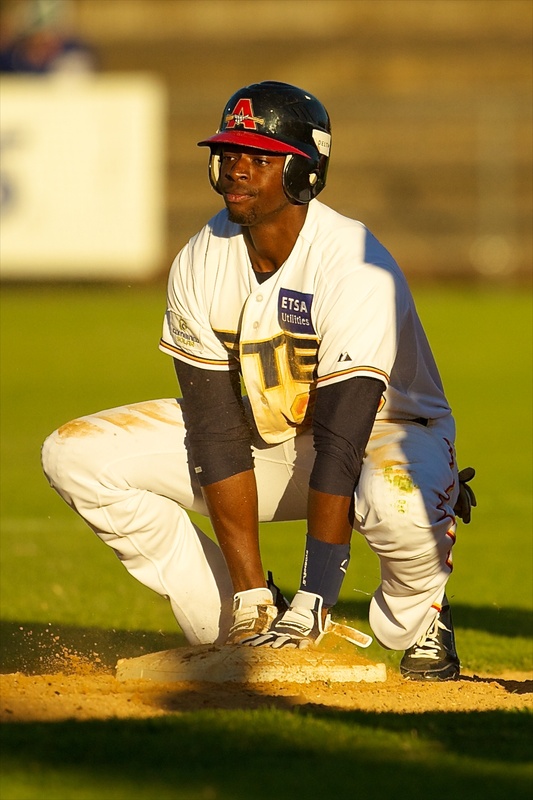 James Jones has not wasted a moment in making believers of those following his progress in the Australian Baseball League. 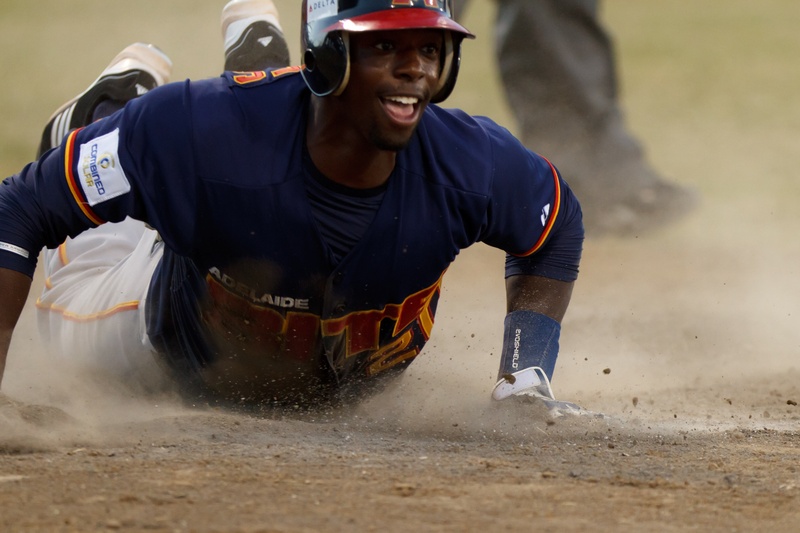 On December 11th with Adelaide Bite trailing Canberra Cavalry by one-run heading into the top of the eighth, the 23-year-old slugger blasted a grand slam for a heroic come-from-behind rally to victory. Aussie Chris Oxspring and Detroit Tigers manager Jim Leyland during Spring Training. 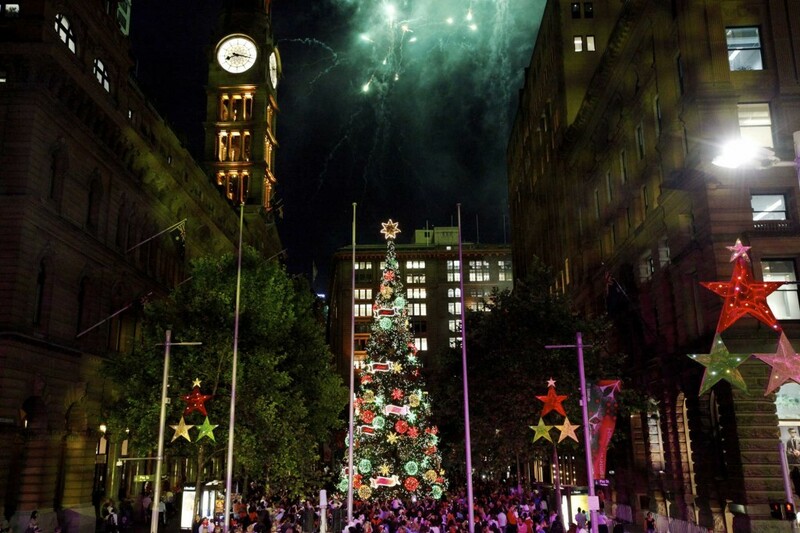 After pitching the Australian National Team to a 1-0 victory over Japan in a semifinal game at the 2004 Athens Games and assuring his country’s first Olympic silver medal in Aussie baseball history, Chris Oxspring was hailed a national hero. With Major League veteran catcher Dave Nilsson calling the game behind the plate, Oxspring pitched 6 2/3 shutout innings against Japan. By striking out five and issuing no walks, he catapulted Australia into the gold medal game against Cuba. However, being the pride and joy for Australia was not enough for this professional ballplayer with real life MLB experience with the San Diego Padres as well as four seasons under his belt at the Triple-A level playing for the Milwaukee Brewers and Detroit Tigers organizations. Oxspring began the 2011 season with Detroit affiliate Triple-A Toledo Mud Hens. In 20.2 innings pitched, he struck out 20 batters in 20.2 innings pitched. Rather than competing for regular playing time, Oxspring opted to make 18 starts for the Independent Atlantic League Somerset Patriots. In 115.2 innings of work, he struck out 114 batters with a 4.17 ERA. Oxspring has a career 40-24 record with a 3.66 ERA and 612 strikeouts in 638.2 innings pitched. Equipped with a mid-90’s fastball, a knee-buckling curve ball, a cutter/slider and change-up, this right-handed hurler can decimate hitters. After pitching stints for Japan’s Nippon Baseball League Hanshin Tigers and Korea Baseball Organization’s LG Twins, Oxspring had to take two seasons off for an elbow injury. 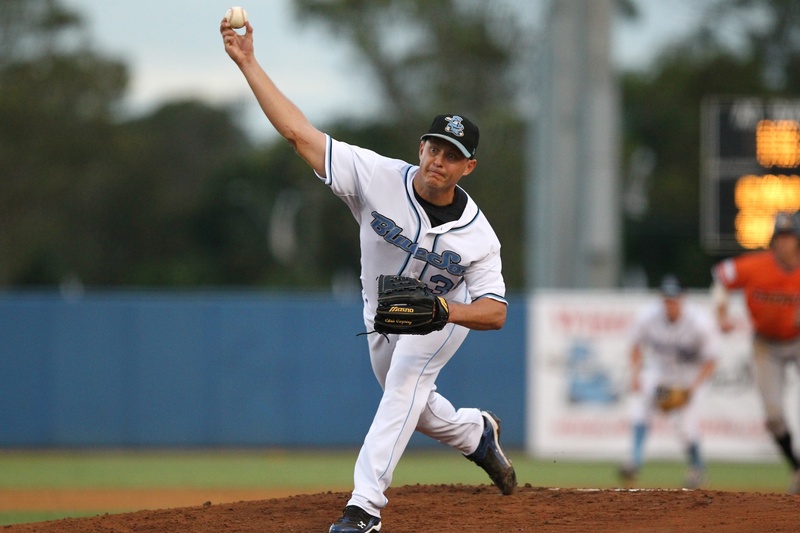 Now in his second season for the ABL’s Sydney Blue Sox, the power arm of Chris Oxspring is in full effect. A fourth-round pick by Japan’s Hanshin Tigers in 2009, Takumi Akiyama may be the best-hitting pitcher in Asia. During his high school campaign, he knocked out 48 home runs. Making his Nippon Baseball League debut in 2010, he held opponents to a .228 batting average in seven starts and put together a 4-4 record with a 3.35 ERA. His mid-90’s fastball, curveball, slider and forkball were all effective pitches in the ABL. Due to Japanese player union rules, Akiyama had to return home to rest before the beginning of the 2012 season. However, Cavs fans need not fret as Santa has left two stocking stuffers from the Tampa Bay Rays organization: Baseball America’s Top Defensive Outfielder Rays prospect–Kevin Kiermaier and catcher Mark Thomas, who led the Charlotte Stone Crabs with 13 home runs. Official Mascot: Maverick The Mascot! 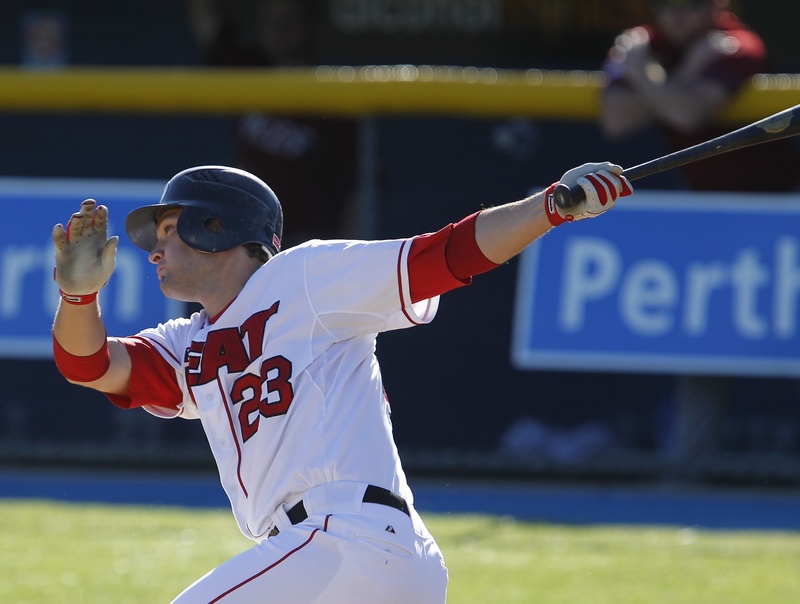 Melbourne's Justin Huber was converted from a catcher to a first baseman due to a knee injury. Signed in 2000 by the New York Mets as a catcher, 18-year-old Aussie high school student Justin Huber still had another six months before he would graduate. In his first professional season, he blasted seven home runs and drove in 31 runs while boasting a .287 batting average. Racking up an impressive .399 OBP in 2002, he ascended up the Mets ranks by crushing 14 home runs and driving in 93 runs. In his first two pro seasons while facing the Mets top pitching prospects, the 20-year-old catcher hit 21 home runs and recorded 124 RBI. The six-foot-five catcher became Mike Piazza’s protegé and looked to be a MLB shoe-in. However, in the summer of 2004 Huber would undergo surgery to repair torn cartilage in his left knee and his future as a catcher was over. He was traded to the Kansas City Royals organization in exchange for home run king, Jose Bautista. In 2005 the Royals converted Huber to a first baseman, and he responded with career bests 23 home runs, 97 RBI, a .326 batting average and a .417 OBP. He was named to the 2005 MLB Futures Game with the likes of Hanley Ramirez, Justin Verlander, Francisco Liriano and B.J. Upton. Playing for the World team, Huber’s two-run double lead to a 4-0 victory over U.S.A., and he was awarded the game’s prestigious MVP honors. He has since played in 72 Major League games for the Royals, Padres and Twins. 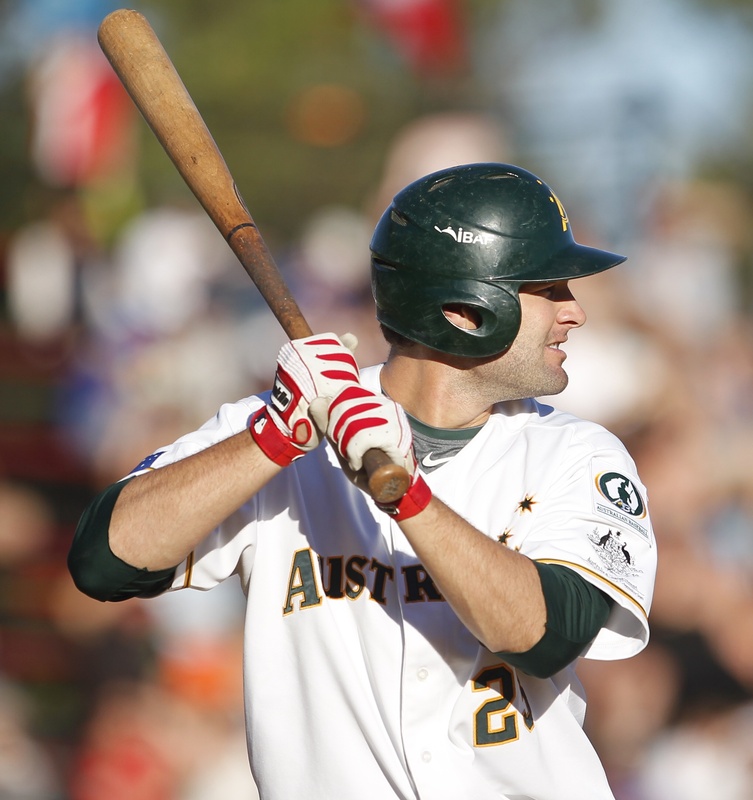 2011 Team Australia All-Star Joshua Roberts went 2-for-4 with a home run in the ABL All-Star Game. 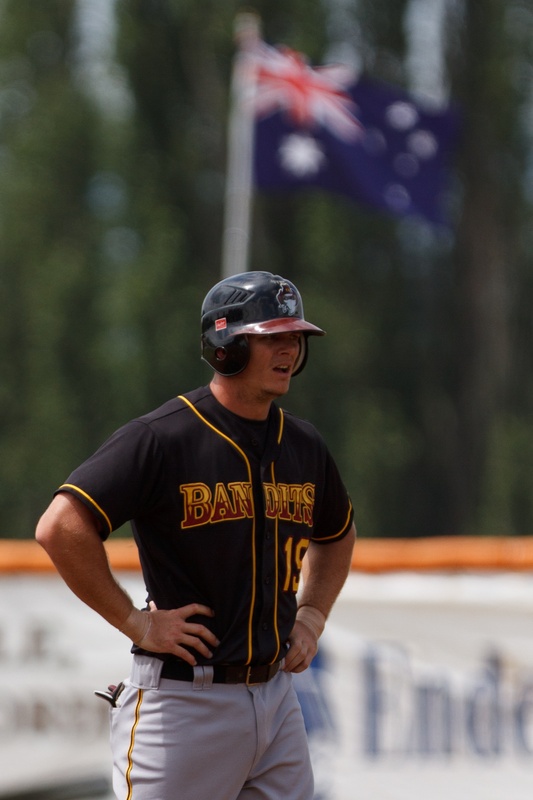 As the RBI leader in ABL last year, Brisbane Bandit right fielder Joshua Roberts earned the team’s MVP honors. 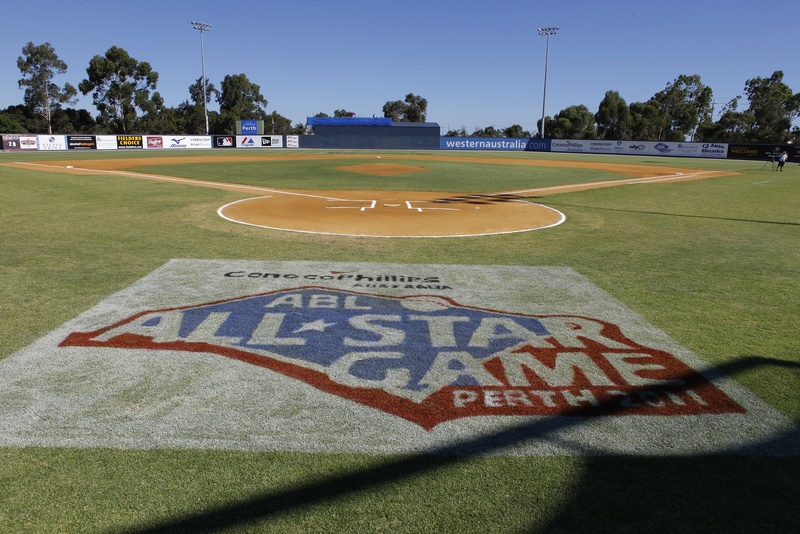 On par to have an equally impressive finish this season after a brilliant performance for Team Australia in the inaugural 2011 ABL All-Star Game, Roberts is certainly one of Australia’s finest athletes–splitting time between baseball’s Brisbane Bandits and rugby’s Ipswich Jets. Roberts probably recorded one of the best jumping catches in ABL history when he literally ran through the fence to rob a home run during a game against Adelaide. Signed by the Cleveland Indians to play professional baseball at 18, Roberts never made it to the Major Leagues in his 117 games for the Tribe from 2004-06. Yet, the 25-year-old’s athleticism and desire to play tough should not be discounted. Look for him to make a big Brisbane Bandit push down to the wire with his “never say die” attitude. Previous Article Hu is on the World Team in the ABL All-Star Game? Thank you for sharing the holidays with me by reading my inspirational story about players who have poured out their hearts and souls to the game of baseball. 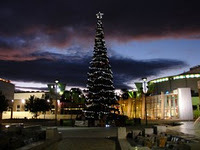 May 2012 be a year of international cooperation to spread baseball to all corners of the earth. Amen!